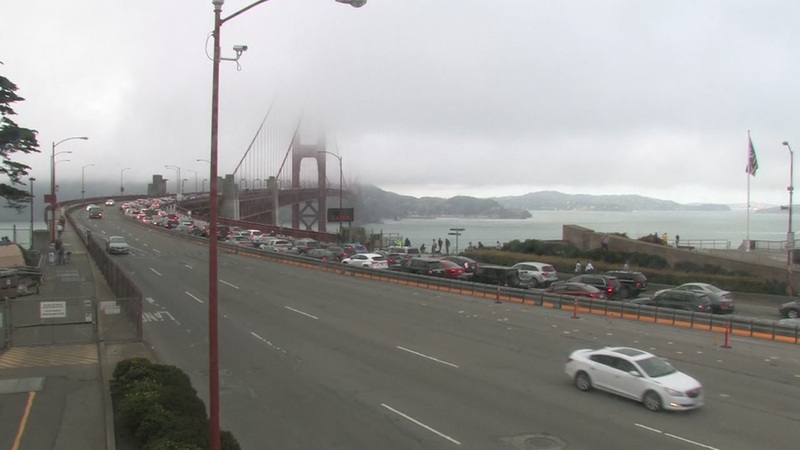 GOLDEN GATE BRIDGE, Calif. -- A fatal motorcycle blocked all northbound lanes of U.S. Highway 101 on the Golden Gate Bridge Friday night, but lanes have since reopened, according to the California Highway Patrol. The crash was reported around 5:55 p.m. on the northbound side of the bridge, just south of the vista point. A Sig-alert was issued at 6:16 p.m., and the coroner was called to the scene shortly after that.